The truth is this social media likes don’t necessarily turn to leads that eventually can turn to sales. VENUE: ABUJA CHAMBER OF COMMERCE AND INDUSTRY. 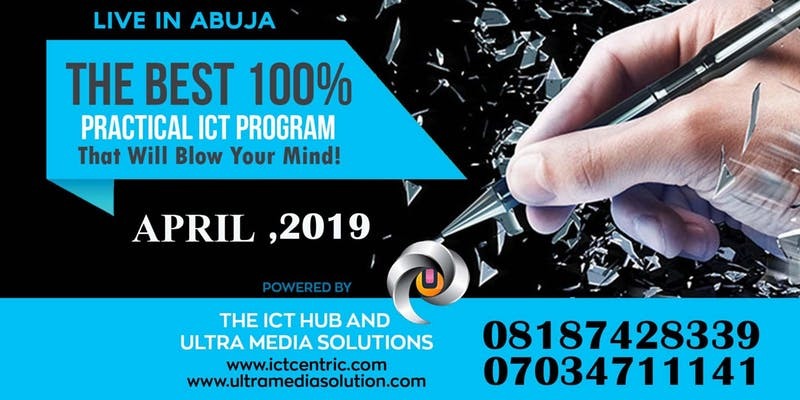 Umaru Yaradua Road, Lugbe Abuja (More centers will be announced for the Abuja Training – IF YOU HAVE AMBIENT VENUES IN ABUJA AND WANT TO PARTNER WITH US TO DELIVER WORLD CLASS TRAINING EXPERIENCE DURING THIS PERIOD, CONTACT US ASAP). PORT HARCOURT AND IBADAN COMING SOON! BUSINESS OWNERS – FREE consultation with THE ICT HUB team on issues surrounding getting your business online. Let help to open you business for more sales, more customers digitally!